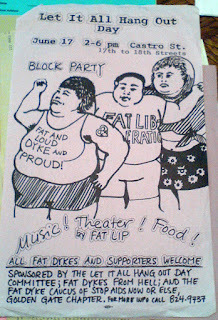 In recent weeks Virgie Tovar reminded me of Let It All Hang Out, a fat dyke gathering which took place in San Francisco in 1989, 1990 and 1991. I'm wondering if these parties sprang from the Robust and Rowdy potluck dances that took place in Oakland around 1987 or so, perhaps commenters can clarify. Anyway, Robust and Rowdy, Let It All Hang Out, what excellent sentiments! 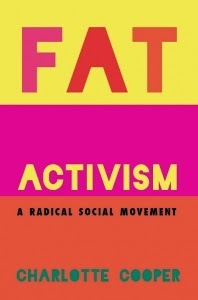 I understand that LIAHO was part of the annual Pride parade at that time but it also reminds me of the spirit of the Fat-In. 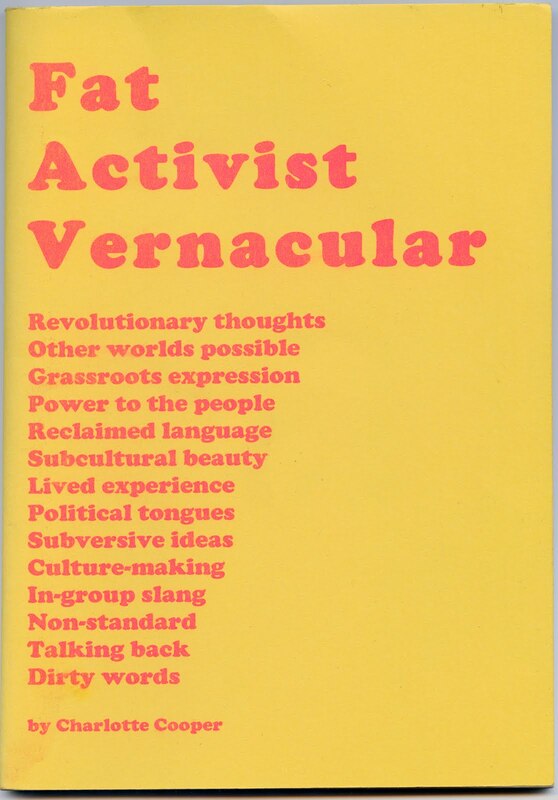 I'm including here a fantastic flyer that I found in Judy Freespirit's archive, and an exuberant photo from Sinister Wisdom #49. LIAHO certainly looked like the place to be! 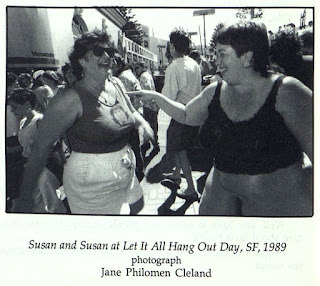 I was never there, so this is second-hand from something or other, but I think that the Let It All Hang Out Days were public block parties that began in response to some of the reaction to an annual Fat Dykes Float in the Pride March. (Maybe this was in FaT GiRL zine at the time. 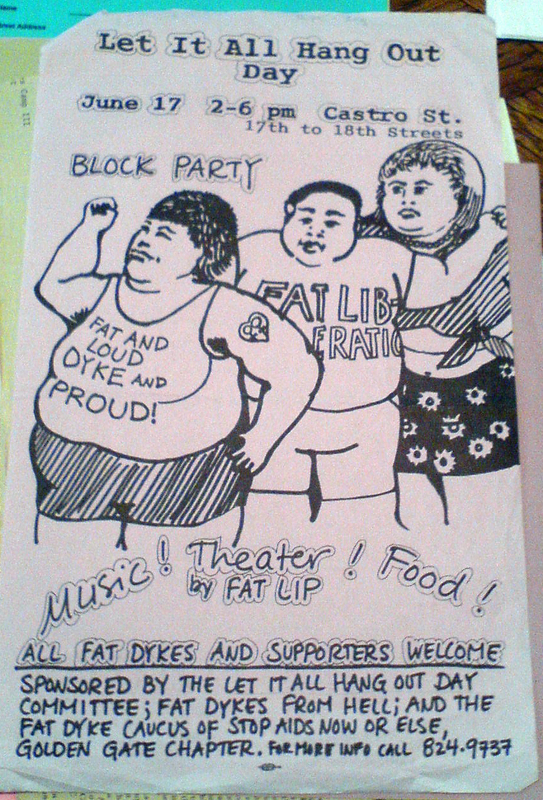 Some fat dykes weren't happy after the float was named Most Outrageous three years in a row — something like that. One of the Susans in the picture was a primary organizer, I think. Good friend of of many others you've mentioned in your wonderful series. Thanks for the clarifications Susan.